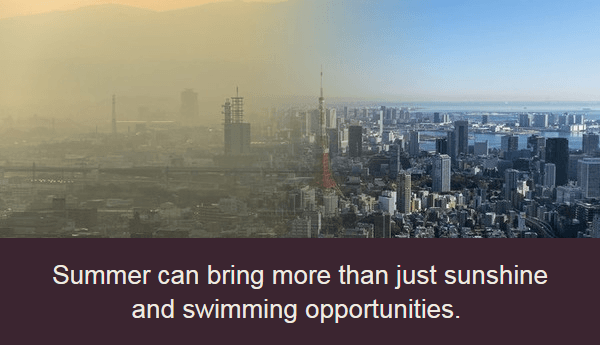 In many areas, summer is the time of year when smog is at its worst.Smog is a form of air pollution that’s particularly hazardous on hot days. It’s an outdoor pollution which can gain entry into your home. Carbon Monoxide is a colorless, odorless gas that can be harmful when inhaled in large amounts. CO is released when something is burned. A variety of items in your home such as unvented kerosene and gas space heaters, leaking chimneys and furnaces, and gas stoves also release CO and can affect air quality indoors. You are exposed to smog outside while CO is more common indoors. These stealth & dangerous gases and particles in the air can be breathed unnoticeable and cause serious damage to your health. Some of which include: chest irritation, dizziness, unconsciousness and even worsen the case of asthmatic individuals. But not to worry, BASSCOMM Nigeria in partnership with Trane provides you with advanced solutions in Heating and Air conditioning that efficiently help you keep the bad air from coming in just as we drive the pollution on the inside out as well. Trane air filters and home humidifiers create cleaner indoor air with the right moisture levels. For room by room temperature control, our zoning systems direct heated or cooled air where it needs to be. Get ready to enjoy steady comfort on demand. For more information on HVAC system with state of art technology that cares about your health, do ring us up.